Ever had a secret that you couldn’t tell anyone? 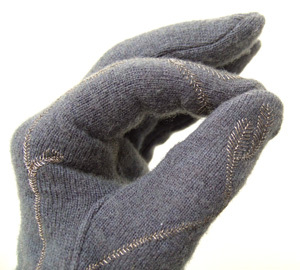 For all those people who really want to spill but shouldn’t wearables designer Meg Grant has made the Secret Keeper Gloves. Watch her explain how it works in this video. I love the intuitive interaction in this project. The actions that make it work seem to suggest that you’re physically holding the secret in your hands. 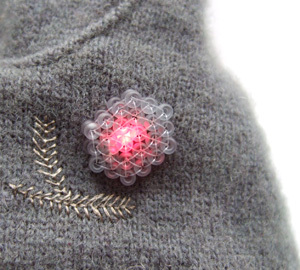 Also check out the beautiful embroidery and Meg’s trademark: making LEDs pretty by sewing beads together and using them to diffuse the light.